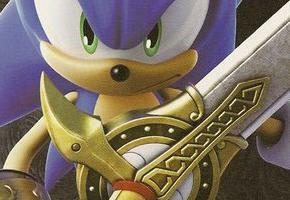 The latest sales charts from Britain show that Sonic and the Black Knight is holding its own in the mix of multiplatform fare. SBK actually jumped up one spot to #20 for the week ending March 21st. Don’t get too excited though–last week was the first full week the game was on sale. SBK hit #21 the previous week, only being available two out of the seven day week. Still, only Empire: Total War beat out the game for top Sega title, coming in at #15. Interestingly, Mario and Sonic at the Olympic Games is still a contender, coming at #28. The game beat out the debut sales figures for MadWorld, as well as edging out sales for House of the Dead: Overkill. Taking the top of the charts last week was Resident Evil 5 for the XBOX 360 and PS3, coming in at #1 and #2, respectively.